A luxury Crystal Cruise includes the super teaching skills of the Smithsonian Museum staff to offer families at sea a sailor's life of learning. Take one magnificent ship, add a dash of mouthwatering cuisine, a sprinkling of awesome life at sea, the thrill of a transit through the Panama Canal, and the tropical island adventures in St. Croix, St. Barts, Antigua, and Aruba. Stir gently for a spectacular family journey onboard the Crystal Serenity that borders on the magical. Our multi-generational family chose this Smithsonian-themed cruise, one of several offered throughout the year, because of the destination-specific lecturers from the cultural and educational arm of the Smithsonian Institution in Washington, DC. Guests can stretch their imagination, celebrate family fun and share the excitement seen through the eyes of youngsters. It was exhilarating to marvel at a fiery orange-red Caribbean sunrise or sunset from your private verandah, and challenge each other to spot the most frolicking dolphins following the ship. Be sure to keep a journal of all the special days that lie ahead, and to keep your videos rolling and cameras clicking so that treasured family memories will be re-ignited when you get back home. 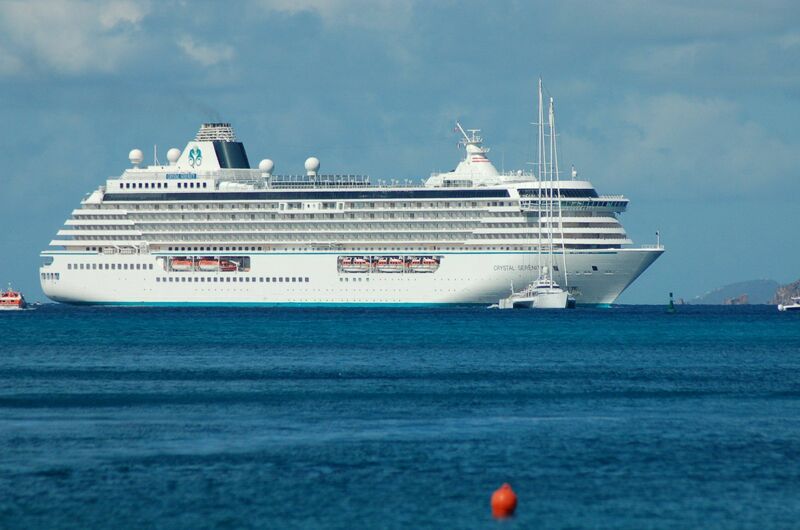 The Crystal Serenity is designed to accommodate multiple generations. Everyone’s personal retreat will be in one of the spacious, luxurious accommodations that include 50 connecting staterooms (for families with children age 5 and older) and 154 staterooms with room for two children under age 5. All staterooms have picture windows or private verandahs, fridges stocked with complimentary soft drinks and bottled water, remote color TV and DVD players. For dreamy options, there’s a choice of your favorite from the pillow menu. In addition to the above, the Penthouse suites feature a flat screen TV, walk in closets, plush Frette bathrobes and light kimonos, Jacuzzi tubs, separate showers, and Butler service for the ultimate luxury. Also offered is a 24-hour private e-mail system, and Wi-Fi access is available throughout the ship (charges apply). On your day at sea, family members can design their time exactly as they wish. Adults and teens can pamper themselves at the Feng Shui-inspired Crystal Spa, work-out at the state-of-the-art fitness center with a personal fitness instructor, take a Spinning, mat Pilates, or yoga class, or “Walk on Water” along the Promenade Deck. Our younger grandchildren enjoyed their supervised areas, while the teens gathered around the popular WAVE Video Arcade and indulged in deck sports and the pool. The popular Crystal Visions Enrichment Program and Creative Learning Institute is where you can expand your horizons. I found myself taking keyboard instruction with a Yamaha teacher, Spanish lessons by Berlitz instructors, and art classes with the Odyssey Art Masterpiece Program. Mel was involved with the advanced lessons at Computer University @ Sea, and enjoying the Jacuzzi and pool. Together we did wine tasting with the Society of Wine Educators, took massages in the spa, and listened to the enrichment lectures. We also enjoyed the movies at the Hollywood Theater while munching on our bags of popcorn. Next time, maybe we’ll check out the Tai Chi Cultural Center. Other options include Enrichment Lectures with distinguished speakers who combine history, ecology and culture to enhance the places you see. On Smithsonian-themed cruises such as this, guests can listen in fascination to lectures from the cultural guides of the Smithsonian institution. You can also view the art presentations; visit the fabulous library stocked with over 2,000 books, magazines, movies on DVD and board games; shop in the Avenue of the Stars boutiques or take professional ballroom dancing lessons. To simply relax or take a refreshing dip. choose the lap-size Seahorse pool or the smaller pool under the retractable dome. Top if off with a soothing Jacuzzi. 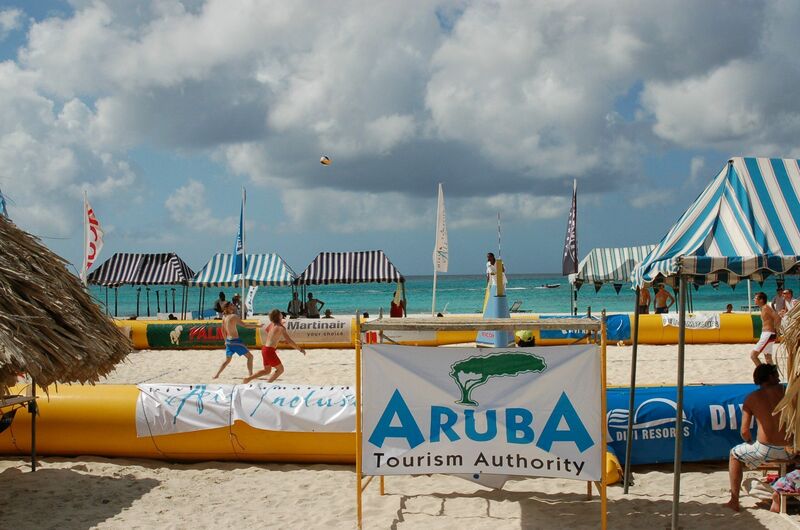 For sports lovers, there’s PGA golf instruction and paddle tennis on full size courts. Whatever your choice the day is all about you. We rounded off our evenings enjoying a lavish Broadway-style production in the Galaxy Lounge. Each Broadway-caliber show is a dazzling blend of music and dance performed by the finest talent in musical themes. Variety cabaret entertainment is featured in the Stardust Club. If the adults are feeling lucky they can drop by the Crystal Casino. Crystal loves having families onboard. During holiday cruises, summer sailings and other selected itineraries designed with young guests in mind, there are supervised Junior and Teen Activities. For ages 3-12 in the Fantasia Suite, there are tables and chairs for board games, giant padded cubes, arts’n’crafts, cookie decorating, Pirate & Princess mural art, parties, crafts and treasure hunts. Private bridge tours to see where the Captain navigates the ship can be arranged, and backstage tours show the spectacular costumes worn by the singers and dancers at the evening show. Deck sports are played on the Wimbledon Courts with games that include paddle tennis, freeze tag and everyone’s favorite — dodge ball – with plenty of prizes. The 13-17 age group is kept busy and happy in the WAVE Video Arcade and in the library. There’s ping pong, fashion shows and coke-tail parties, and the ongoing enjoyment from Scoops Ice Cream Bar. Teen Internet night at Computer University@Sea is a great time to update your Facebook, Myspace, or just say hello to friends and family back home. PlayStation and XBOX 360 are also available at specific times. Late night pool parties, teen disco, teen karaoke and pizza parties round out all the fun. A tempting variety of dining options, from the early-bird breakfast through the dinner hour and into the late evening are offered. In the beautiful Crystal Dining Room there’s open seating for breakfast and lunch, and a choice of classic main or late seating. The menu, overseen by Executive Chef Werner Brenner, offers an extensive selection of regionally inspired cuisine prepared in the classic French tradition. Dinner entrees might include grilled New Zealand Venison medallions, Coq au Vin, and broiled fresh swordfish steak. Choose dessert from sherbets and ice cream, cheese platters, baked Alaska and more. The array of tantalizing options also includes “Lighter Fare,” vegetarian selections, and an extensive choice of wines. To enhance the evening dining options there’s two specialty restaurants. Prego for regionally inspired dishes of various regions of Italy created by Valentino restaurateur Piero Selvaggio, and Silk Road and The Sushi Bar that serves the finest Asian cuisine featuring unique flavors of the Orient, created by Nobu Matsuhisa. 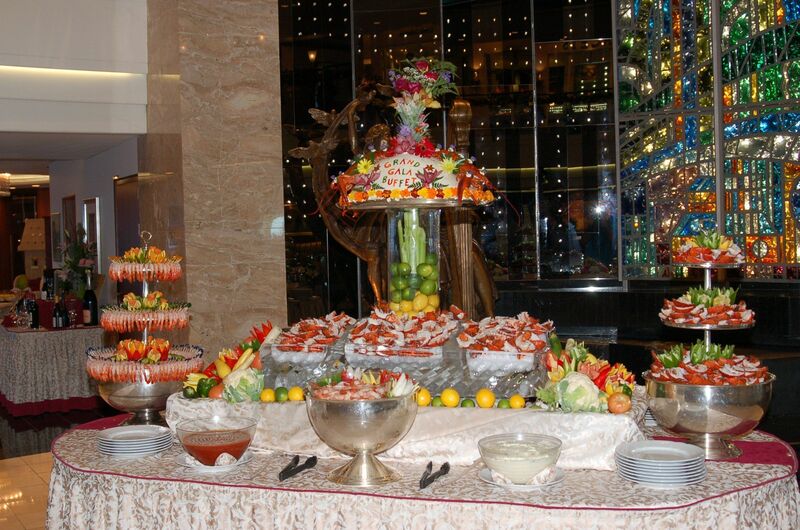 Casual dining is available at Lido CafÃ© a buffet-style, indoor/outdoor venue for breakfast and lunch. The Bistro is a popular Parisienne-style coffee bar and cafÃ© serving light snacks served throughout the day. 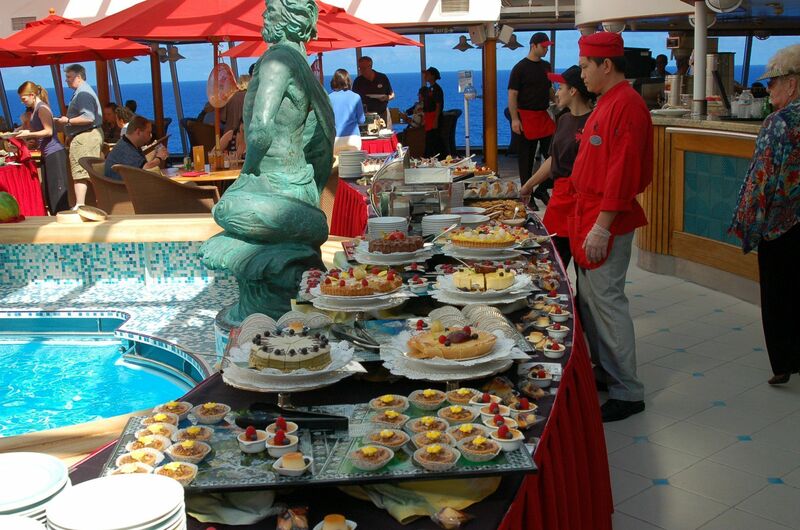 The Trident Grill & Ice Cream Bar serves hot dogs, hamburger, pizza and sandwiches as well as ice-cream, yogurt and cookies throughout the afternoon. Room Service is available 24 hours. Crystal is attentive to kid’s nutritional needs and the culinary staff can prepare custom dishes and items comparable to those found on shoreside kids’ menus. Always available are PB&J sandwiches, mixed baby greens with chicken tenders and tropical fruit cocktail with banana bread. Main course entrees feature creamy macaroni with cheese; bite-size fried fish; small grilled filet steak, served with mashed potatoes and steamed veggies; quesadillas served with salsa; pizza; hamburger; veggie burger or hot dog with fries. Yummy desserts include banana split, vanilla and strawberry ice cream with chocolate sauce and M&M confetti. Baby food, high chairs and booster seats are available on request. The Serenity’s compelling selection of ports of call perfectly complements the days spent at sea. Tours ranging from those with little walking to more active excursions, and rated by age appropriateness, create a window into the local culture, sports, nature, customs, and history. Before sailing, review the information on Crystal Adventure Shore Excursions, which can be reserved online. In St. Croix, our family took the scenic tour which was a soft adventure, appropriate for all ages, and 3½ hours in duration. It was the perfect amount of time to hold everyone’s attention. The guide pointed out interesting sites and stories of the island’s history and we all enjoyed it. In St. Barts, most of our group enjoyed the Island Paradise introduction tour. Although only an hour long, we experienced a wonderful overview of this beautiful island. Two of the more adventurous adults took the ATV adventure across St. Bart’s hilly terrain, which was both dramatic and pricey. We stayed together on the historic Antigua island drive, and enjoyed its history, including the famous English Harbor and Nelson’s Dockyard. This was a cool excursion. As all the kids were 5-years-old and above we were able to enjoy the See & Sea tour off Aruba. We discovered a unique underwater world, abundant with colorful fish, spectacular sponge gardens and coral formation. The experience was awesome. 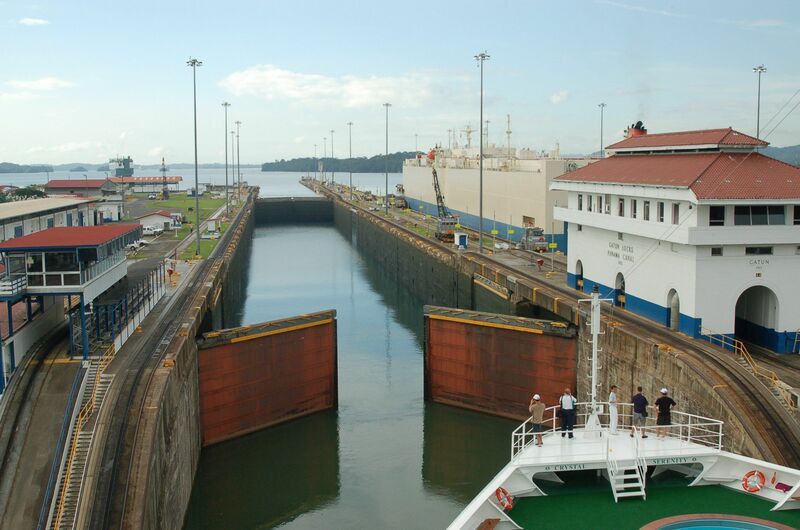 The spotlight is on the Panama Canal transit, a spectacular exploration of the tropical isthmus that separates the Atlantic and Pacific Oceans. Within this strip of land are more species of wildlife and flora than any other place on the planet, complemented by volcanoes, cloud forests and turquoise bays teeming with marine wildlife. The Crystal Serenity cruises down the canal with inches to spare, through locks that raise and lower it like a toy. Along the way it crosses enormous Gatun Lake, and the amazing Gaillard Cut, blasted out of a solid mountainside. Families can thrill to this phenomenon while watching the actual transit and listening to its fascinating explanation. Our final stop was Caldera, Costa Rica, the “Switzerland of Central America,” which is strategically located between two great continents. The region is known for its breathtaking beauty, sweeping vistas, acres of verdant rain forest and plant and animal species that exist side by side in a microworld of biodiversity. Crystal Cruises (888/799-4625) attracts well-traveled families seeking a more refined luxury cruise. 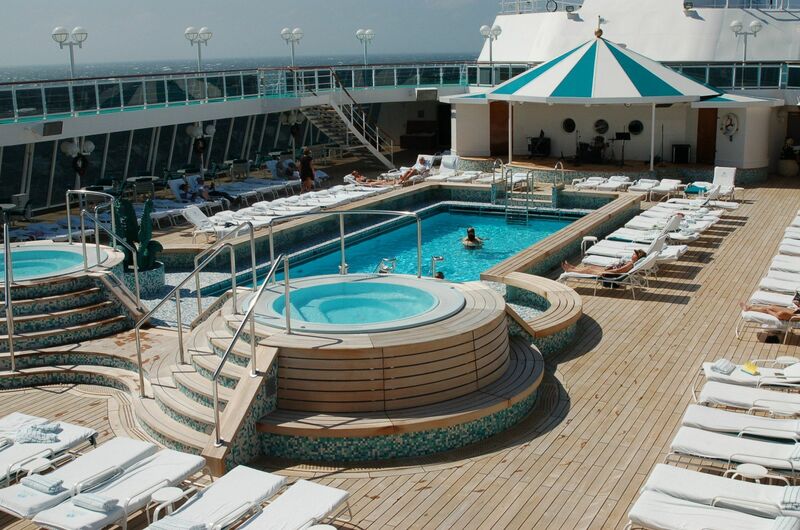 The 6-Star Crystal Serenity has a distinct touch of class and unmistakable style all its own. Understated elegance is found throughout the ship. The 1,072-passenger ship, unlike the newer mega ships, offers more personal space and comfort, and one-on-one attention to guests of every age.